The fanfare greeting the opening of University of Florida Health's new campus hasn't touched much on sustainability, but that is sure to change with the announcement of a major first. 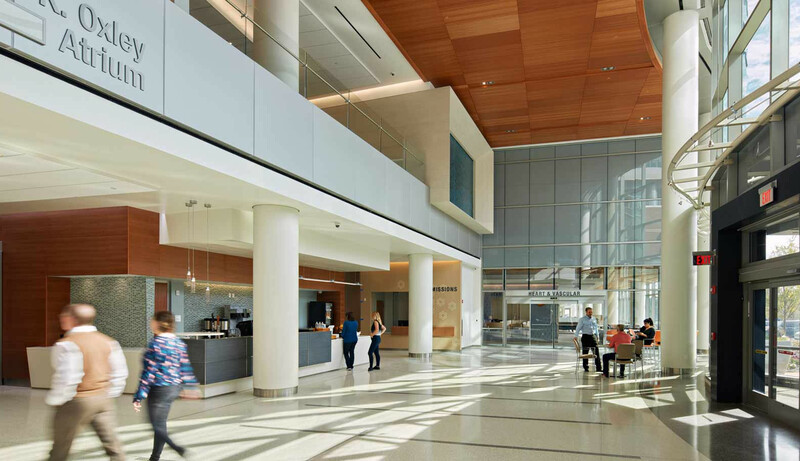 The Green Building Initiative has confirmed that UF Health Heart & Vascular Hospital and UF Health Neuromedicine Hospital is the first hospital to achieve the top sustainability rating bestowed by the organization. The GBI's program confers four levels of Green Globes certification, beginning with one Globe ("Demonstrates a commitment to environmental efficiency practices") and continuing through to four, which denotes projects that demonstrate "national leadership and excellence in the practice of energy, water, and environmental efficiency to reduce environmental impacts." To achieve Globes, a project is assessed according to its performance in the areas of project management; policies and practices; site; energy; water; resources, building materials and solid waste; emissions, effluents and other impacts; and indoor environment. Reviewed and verified by a third party, scores are tallied against a 1,000-point scale, with 85% the threshold for achieving four Globes. In spite of the inherent challenges associated with sustainable strategy implementation in complex healthcare environments, UF Health Heart & Vascular Hospital and Neuromedicine Hospital scored at 88%. To date, just 77 projects have achieved four Green Globes, in three categories: Existing Buildings (53), New Construction (21), and Sustainable Interiors (3). As the 21st addition to the New Construction list, UF Health Heart & Vascular Hospital and Neuromedicine Hospital is certainly among the largest and most complex, comprising two 500,000-square-foot buildings connected by a three-level base structure to the first-phase UF Health Shands Cancer Hospital. The base structure accommodates clinics on the ground level and terraces above, and a second-level shared surgery platform that spans the drive into the new campus.